From time to time, a customer may have open credit or payment on their accounts that are not used. Therefore, the customer may request a refund to their open credits or payments. 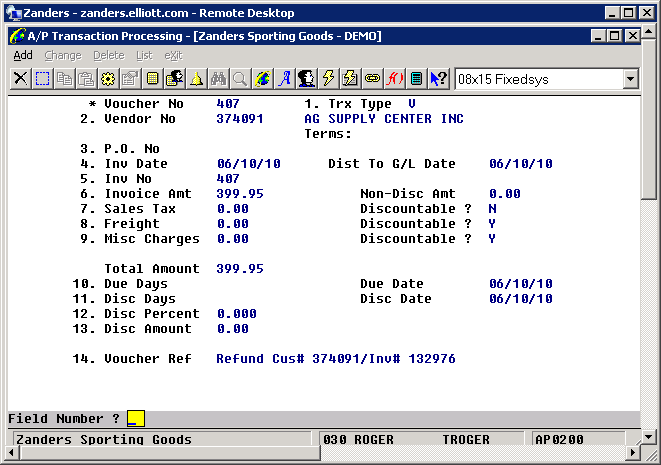 This document outlines the procedure involved to create a debit memo in A/R to offset the open credit or payment, and create the corresponding AP voucher to process the check. 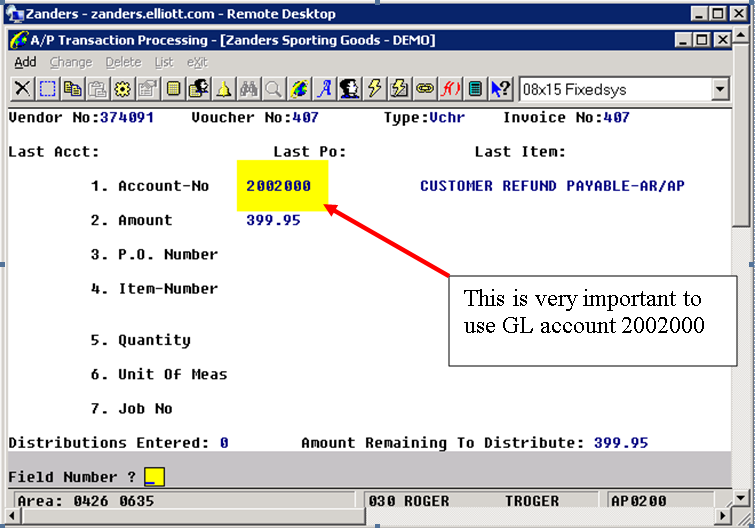 In our example, we use account number 2002000 for the Customer Refund Payable-AR/AP wash account. 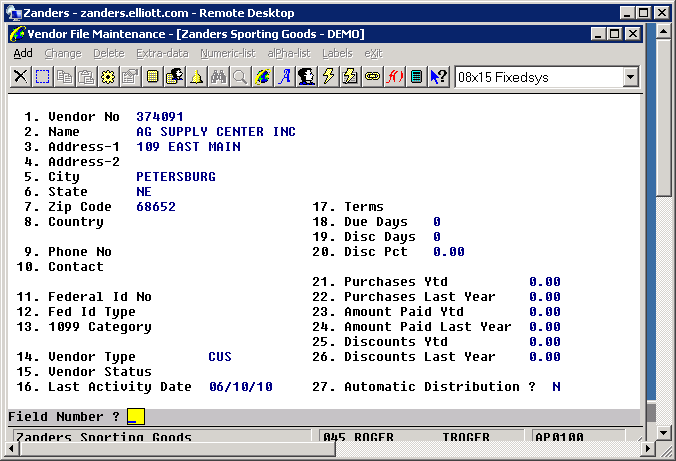 You should have a similar wash account set up in your chart of accounts for this purpose. Processing: We’d like to zero out of customer balance and cut an AP check to pay back the customer. Go to A/R -> Processing -> Post Sales & Cr/Dr Memo Transactions to post the debit memo just created. 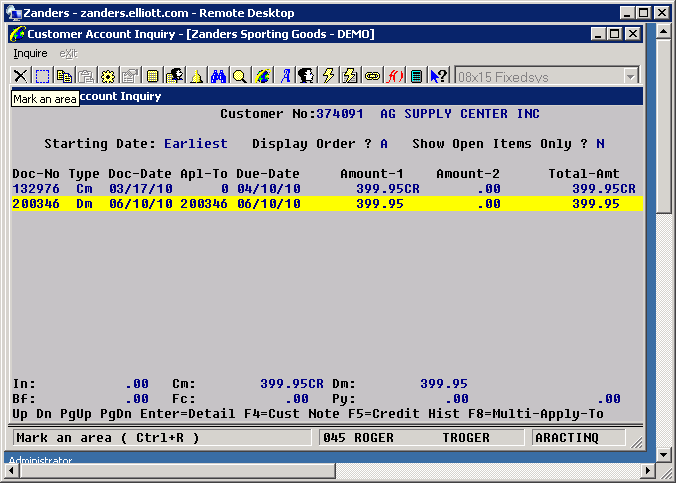 Step 3 - After Post Debit memo, it shows on Customer account inquiry and the customer account balance becomes 0.00. 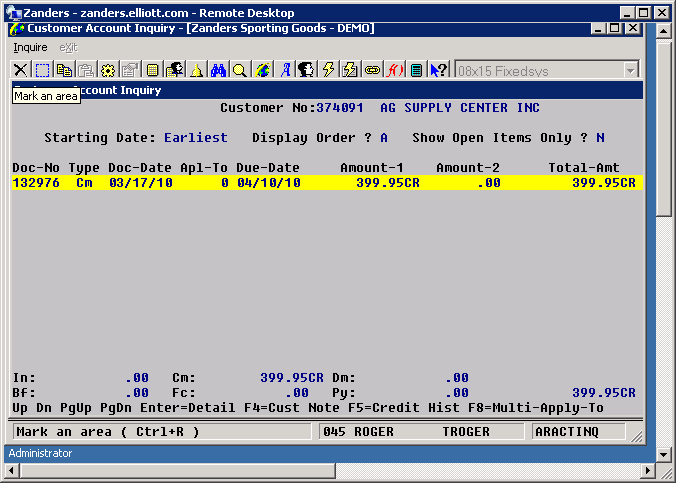 Step 4 - As you can see, the above credit memo is still open even though the customer account balance is zero now. You need to go to A/R -> Processing -> Re-Apply Cr/Dr Memos to make the credit memo apply to the debit memo. 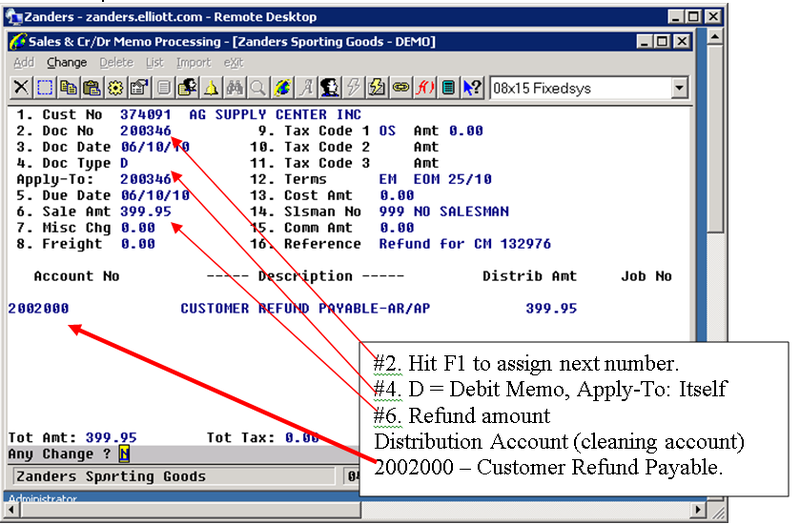 D - Post AP Transaction following the normal procedure. E - Payment Preparation and Print Check following the normal procedure. F - Post Check following the normal procedure.